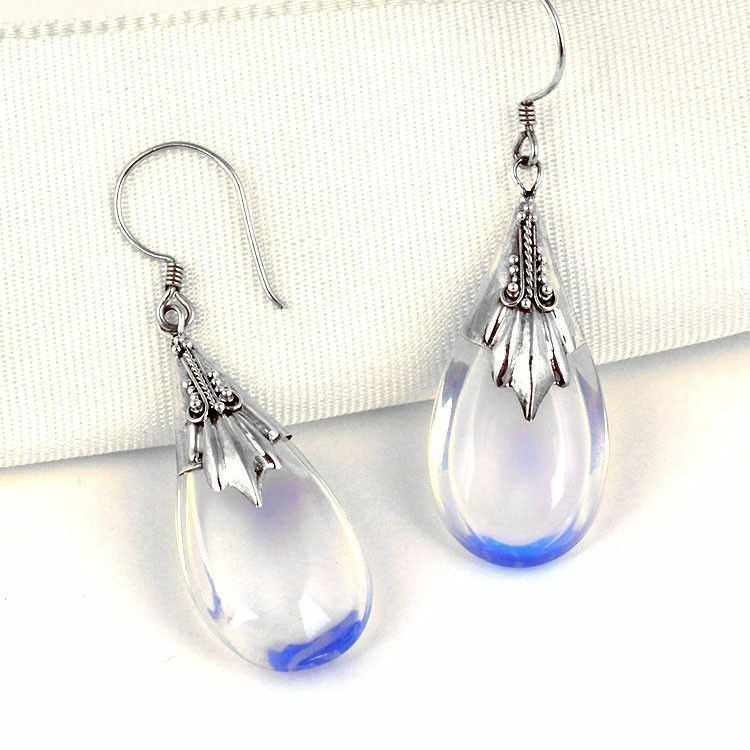 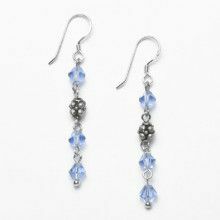 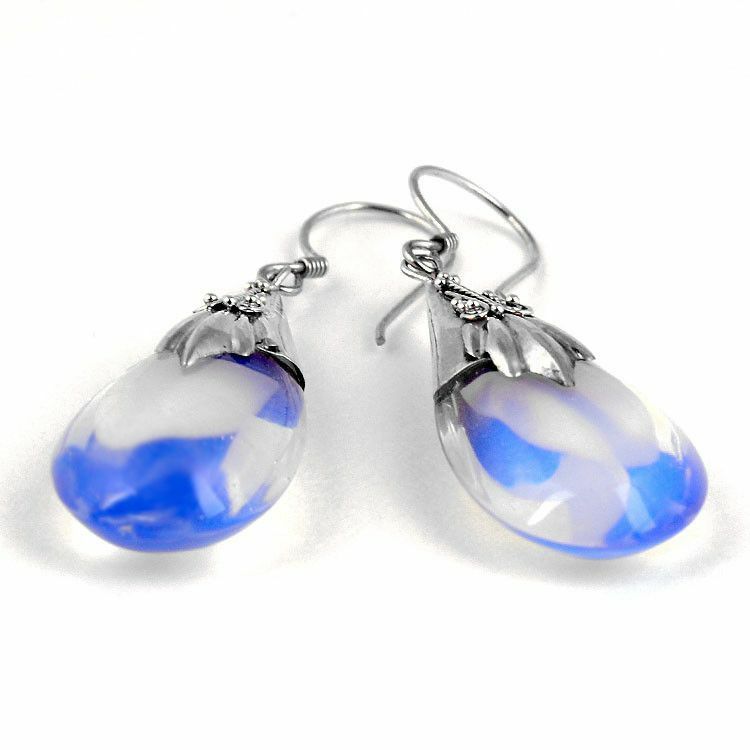 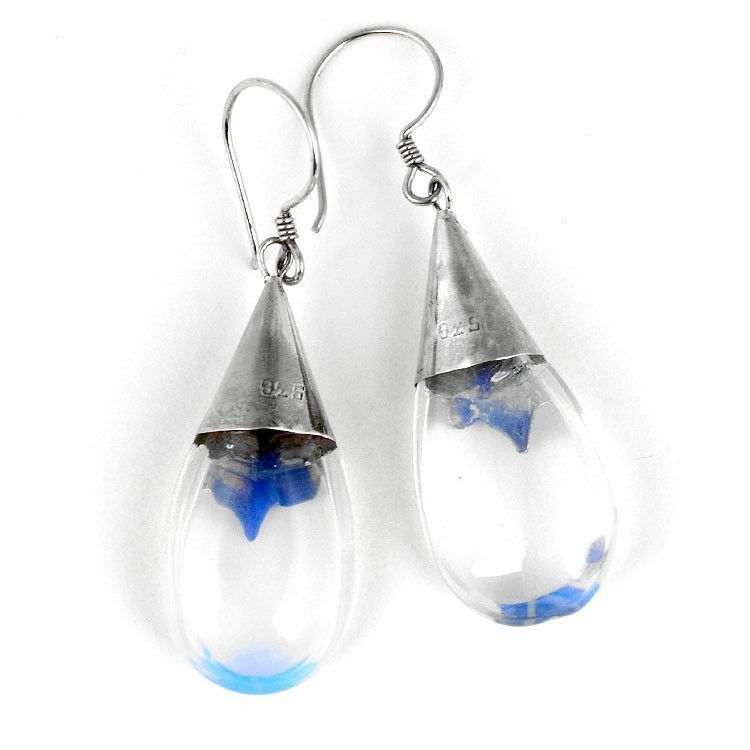 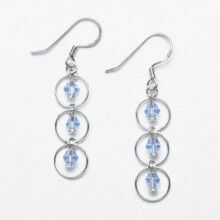 These semi-clear / slightly blue earrings are a perfect match for most any occasion. 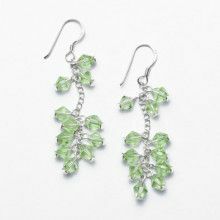 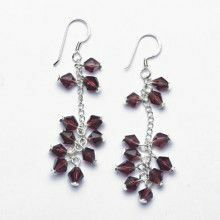 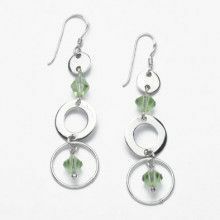 The earrings feature .925 sterling silver design containing "leaves" and "dots." 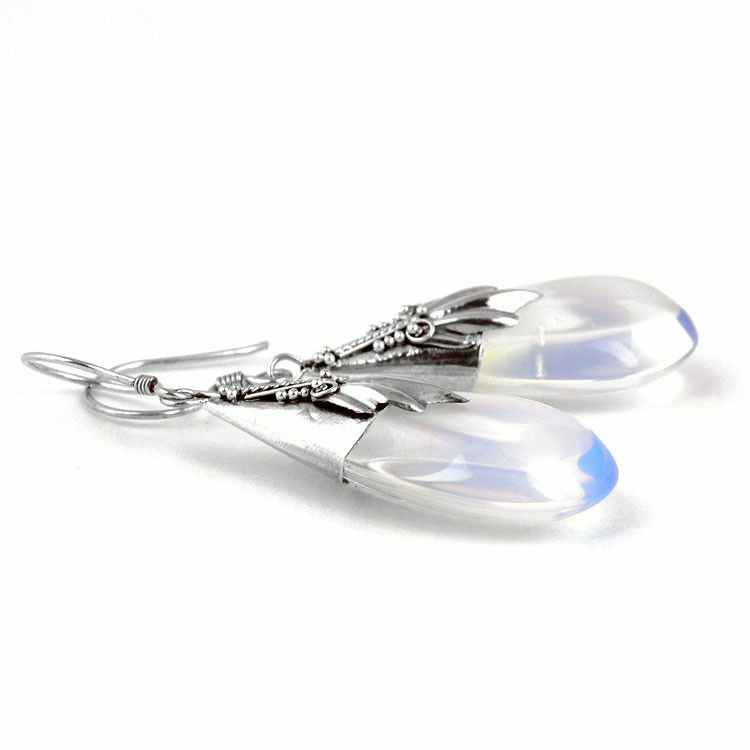 Simple hooks allow for easy wear or everyday wear. 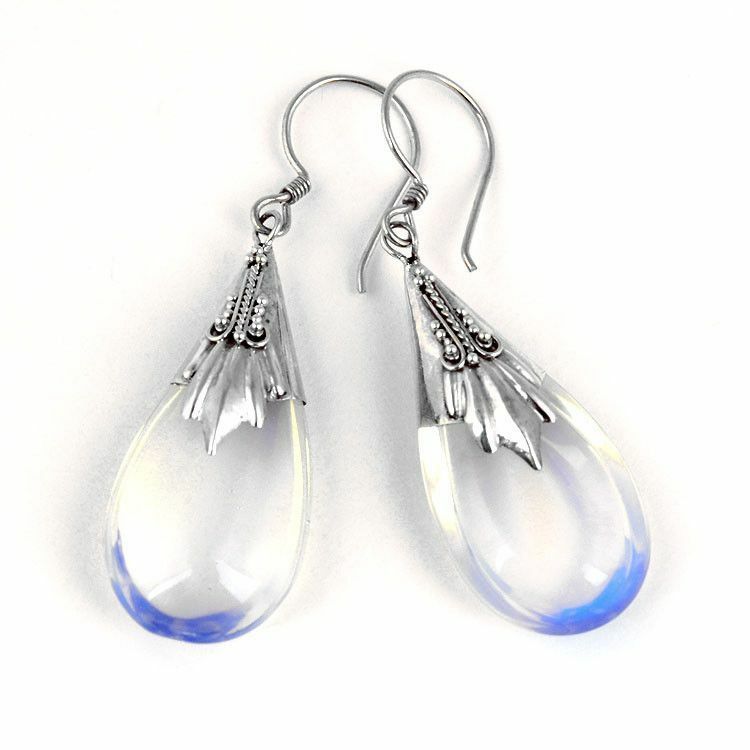 Total length of earring is Approximately 2 3/4" and about 1/2" wide. 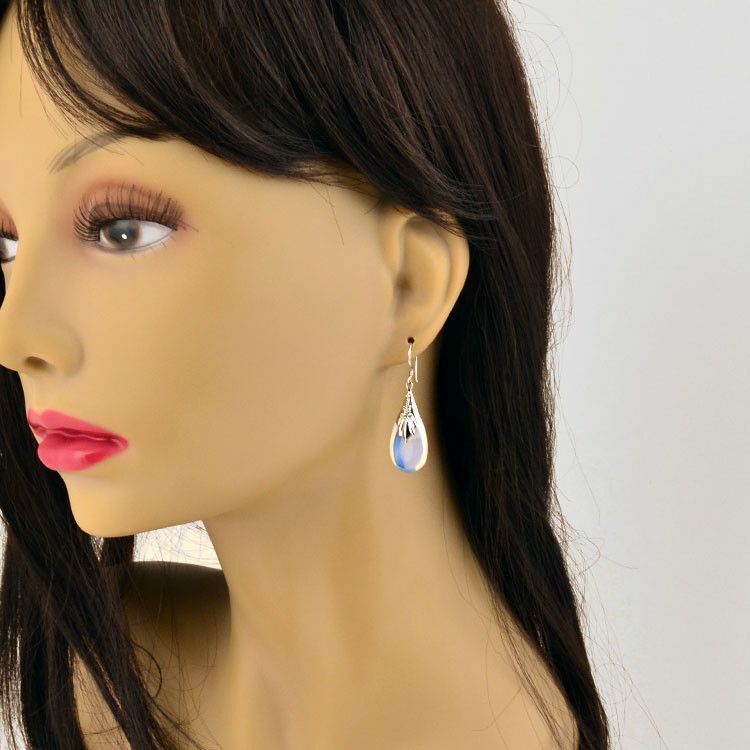 Total length is about 2 3/4"